Vermont health officials are investigating an outbreak of gastrointestinal (GI) illness at Norwich University in Northfield after more than two dozen students and staff reported being sick. Health officials advise if you are sick with gastrointestinal (GI) illness:Based on the symptoms and length of illness reported, norovirus is suspected but has not yet been confirmed through laboratory testing. Stay home from classes or work for 24 hours after vomiting and diarrhea have stopped. Food handlers should stay home from work for 48 hours after symptoms have stopped. Health care providers and people who work at a child care facility should also stay home from work for 48 hours after vomiting and diarrhea have stopped. Wash your hands well with soap and water after using the bathroom or after caring for someone who is sick. Hand sanitizers are not as effective at removing norovirus particles. Don’t share food or drinks with others if you have symptoms or are sick. Immediately remove, machine wash and dry any clothing or linens soiled by vomit or diarrhea. Norovirus is a common cause of gastrointestinal illness. Symptoms often include diarrhea, vomiting, and stomach cramps. People who are ill from a norovirus may also experience headaches, body aches and fever. Schulz Organic Farms Pty Ltd TA Timboon Dairy/Timboon Cheesery is conducting a recall of Timboon Brie. The product has been available for sale at Timboon Cheesery in Vic. The recall is due to microbial E.coli contamination. Consumers should not eat this product. Any consumers concerned about their health should seek medical advice. Customers should return the product to the place of purchase for a full cash refund. A total of 109 people infected with the outbreak strain of E. coli O103 have been reported from six states. Seventeen people have been hospitalized. No cases of hemolytic uremic syndrome, a type of kidney failure, have been reported. No deaths have been reported. Preliminary epidemiologic information suggests that ground beef is the source of this outbreak. Ill people in this outbreak report eating ground beef at home and in restaurants. Traceback investigations are ongoing to determine the source of ground beef supplied to grocery stores and restaurant locations where ill people ate. At this time, no common supplier, distributor, or brand of ground beef has been identified. CDC is not recommending that consumers avoid eating ground beef at this time. 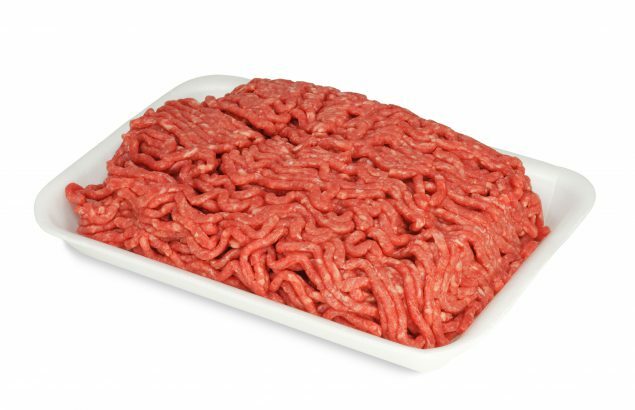 Consumers and restaurants should handle ground beef safely and cook it thoroughly to avoid foodborne illness. At this time, CDC is not recommending that retailers stop serving or selling ground beef. This is a rapidly evolving investigation. We will provide updates as more information becomes available. CDC, public health and regulatory officials in several states, and the U.S. Food and Drug AdministrationExternal are investigating a multistate outbreak of Salmonella Newport infections. As of April 15, 2019, 13 people infected with the outbreak strain of Salmonella Newport have been reported from 7 states. A list of the states and the number of cases in each is on the Map of Reported Cases page. Jensen Tuna of Louisiana is voluntarily recalling frozen ground tuna imported from JK Fish, because it may potentially be contaminated with Salmonella. The frozen product, individually packaged in clear plastic one-pound bags, is sold in white wax 20 lb. boxes. The product is only sold as a wholesale case with twenty bags in each case. The lot numbers are z266, z271 and z272. The product was sold to wholesalers in Connecticut, Iowa, Illinois, Minnesota, North Dakota, New York, and Washington. These wholesalers further distribute the product to restaurants and retail locations. The product was distributed from November 30, 2018 to March 15, 2019. Restaurants and retailers should check with their suppliers and not sell or serve recalled frozen ground tuna and should wash and sanitize locations where recalled ground tuna was stored. Consumers with concerns should ask their restaurants and retailers whether the tuna dish they are purchasing contained the recalled ground tuna. The voluntary recall is in response to the CDC and FDA’s investigation of 13 illnesses caused by Salmonella, confirmed to date. As of today, the ground tuna samples were found negative for Salmonella. Salmonella is an organism that can cause serious and sometimes fatal infections in young children, frail or elderly people, and others with weakened immune systems. Most people infected with Salmonella develop symptoms within 12 to 72 hours after infections, according to the FDA. The illness, marked by diarrhea, fever and abdominal cramps, usually lasts 4 to 7 days. Please contact Jensen Tuna at 985-868-8809 (Monday-Friday, 8am to 3pm, Central time) or email at info@jensentuna.com with questions. Price Chopper announced a voluntary recall of their store brand fudge bars due to the potential for Listeria contamination. The product, 30 ounce PICs Fudge Bars with a UPC of 41735 09250 and a best-if-used-by date of March 6, 2020, is made by Fieldbrook Farms. Fieldbrook Farms says a limited supply of 12ct PICS Original Fudge Bars was inadvertently shipped to a single retailer, Price Chopper. Because this product was not intended for sale, Fieldbrook has asked Price Chopper to remove all fudge bars from their stores shelves. 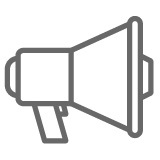 The Centre for Food Safety (CFS) received a notification from the Rapid Alert System for Food and Feed (RASFF) of the European Commission that the above-mentioned product might have been contaminated with Listeria monocytogenes and was being recalled. According to the information provided by the RASFF, a local importer, Classic Fine Foods (Hong Kong) Ltd, had imported some of the affected product into Hong Kong. The CFS immediately contacted the importer concerned for follow-up. Preliminary investigation found the importer had imported 11 pieces of the affected product and all of them had been distributed. The importer has initiated a recall according to the CFS’ instructions. Listeria monocytogenes can be easily destroyed by cooking but can survive and multiply at refrigerator temperature. Most healthy individuals do not develop symptoms or only have mild symptoms like fever, muscle pain, headache, nausea, vomiting or diarrhoea when infected. However, severe complications such as septicaemia, meningitis or even death may occur in newborns, the elderly and those with a weaker immune system. Although infected pregnant women may just experience mild symptoms generally, the infection of Listeria monocytogenes may cause miscarriage, infant death, preterm birth, or severe infection in the newborns. The CFS will alert the trade to the incident, and will continue to follow up and take appropriate action. Investigation is ongoing. Stop using or selling the affected product immediately if they possess it. Not to consume the affected product if they have bought any. Enquiries about the recall can be made to the importer’s hotline at 2612 2066 during office hours.